At Acclaimed! 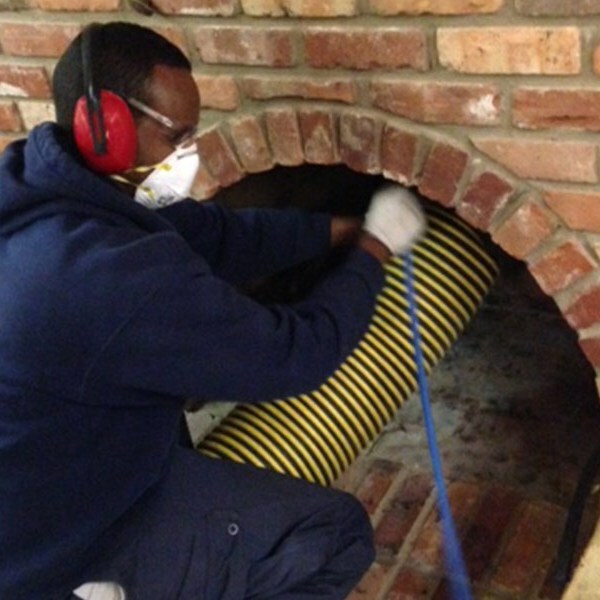 Heating, Cooling & Furnace Cleaning, we use state of art equipment and practices. We will transform your HVAC system and ductwork from dirty, musty, and germ-laden to clean, fresh, and healthy in under a few hours. The length of time it takes to clean your HVAC system and ductwork depends on the size of your home. In addition to the finest powervac equipment, we use specialty cleaning tools inside your air ducts. We customize each cleaning because every home’s ductwork is unique. The hot air ducts AND return air ducts are split, and cleaned separately, to ensure maximum suction and to protect your furnace. We use Power Brushes and Power Whips to clean the ducts. The different shapes and sizes of ducts are cleaned with THE BEST cleaning method. (Almost all houses have round vents where the heat comes out, but the return air vents and the big ducts downstairs are rectangular. A brush method is usually most effective in the round vents and our whip system shines on rectangular ducts). On a side note, we are NADCA certified, with highly trained technicians. (NADCA stands for North American Duct Cleaners Association – the #1 accreditation). Watch how Acclaimed! gives furnaces & air ducts a professional clean. Your air ducts may be host to pounds of allergens, dust, debris, dust mites, bacteria and mould, all just waiting for the right amount of air pressure to come along and be pushed out into the living areas of your home. All these can exacerbate existing conditions for those with asthma and other respiratory issues. Removing upwards of 40 pounds of dust and debris is not an uncommon sight in our line of work. According to the EPA, your air ducts, heating and cooling equipment should only be cleaned by professional HVAC contractors. Many cut-rate duct cleaners are not professionally licensed, nor do they have the qualifications to ensure quality service. If your system is cleaned by someone without the proper training, it can cause damage to your ducts and HVAC systems. This not only makes your systems less efficient, but may also require an expensive repair to fix. 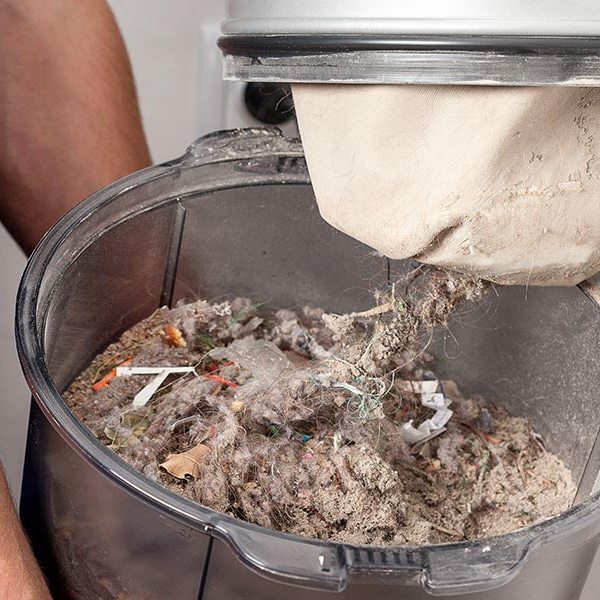 For optimal air flow, sanitation, hazard reduction and performance of your appliances, we suggest that your furnace, ducts and dryer vent be cleaned annually. Dryer keeps shutting off early, before the timer ends its drying cycle. Using powerful truck-mounted vacuums, we effectively remove gallons of dirt, dust, dander, and other pollutants from your vacuum flow bucket. Vacuum flow cleaning is an essential service that plays a vital role in securing a clean and healthy indoor environment, as well as assuring the top performance of your central vacuum system. The accumulated bacteria, dust mites, fungi, and other pollutants are redistributed throughout the building with each vacuum use. The efficiency, air flow, and power of the central vacuum system are greatly compromised, rendering the overall cleaning efforts futile. 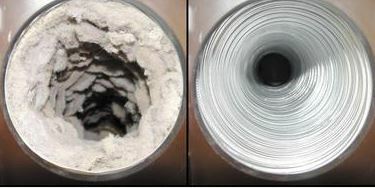 Filter and tube blockages lead to troubling vacuum flow performance and costly repairs. A potential fire and health hazard. In order to get the most value out of regular HVAC system maintenance, it is best to have the furnace chimney cleaned and serviced when a furnace cleaning and inspection is performed. 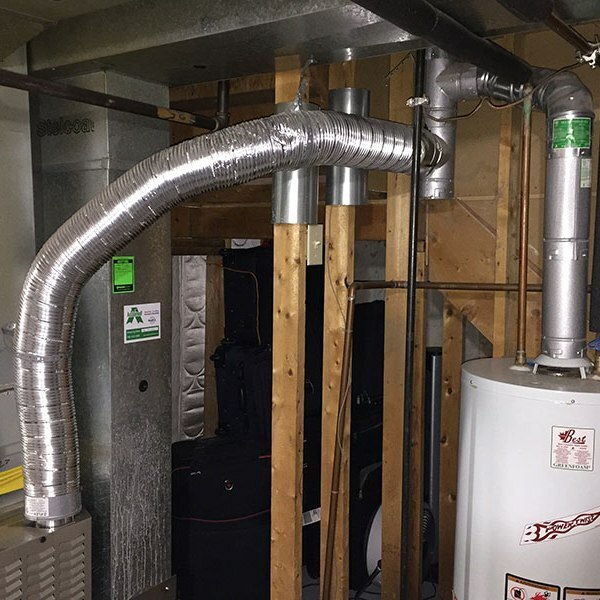 Ductwork can also be infested with vermin, such as rodents and insects. It gives them an entry point to every room in your home. At times these critters die within the duct system and homeowners are left with a terrible stinky mess. We can help! We will first need to do a through duct cleaning of the duct system. We can sanitize the full duct system with a fogging process. The sanitizing solution we use is 100% safe to use and to breathe, and is endorsed by the EPA (Environmental Protection Agency), ensuring it’s safety.